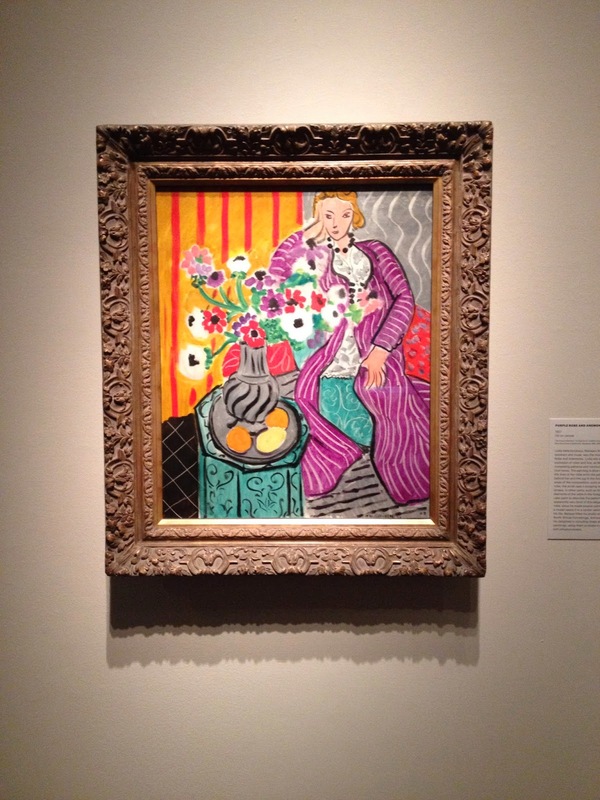 View of Henri Matisse's Purple Robe and Anemones (1937) currently on view at the San Antonio Museum of Art. Photo By Stephanie Torres. The Matisse: Life in Color exhibition currently on view at the San Antonio Museum of Art features more than 80 works of art by Henri Matisse, one of the most important Modern artists of the twentieth-century. 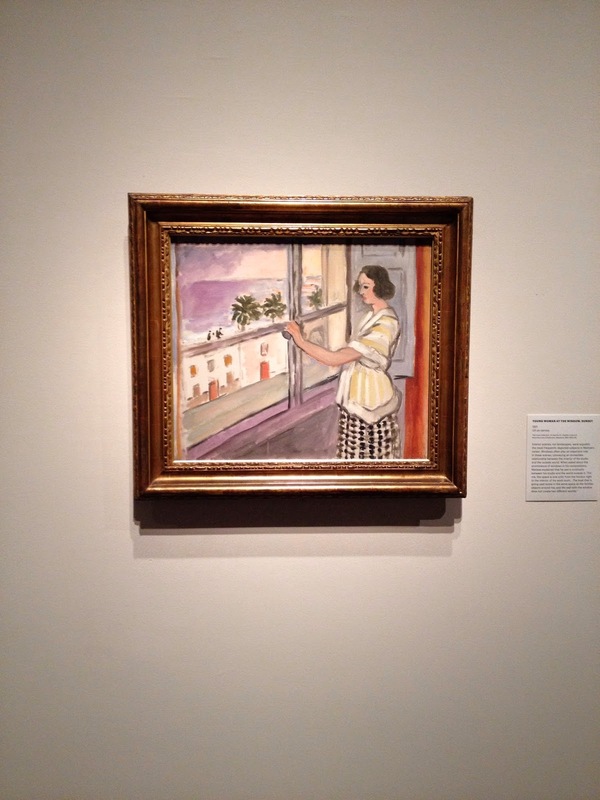 View of Henri Matisse's Young Woman at the Window, Sunset (1921) currently on display at The San Antonio Museum of Art. Photo By Stephanie Torres. As one of the founding members of les Fauves ("the Wild Beasts"), Matisse was known for his use of explosive non-natural color and blunt brushwork in creating his bold canvases. In 1905, Matisse, along with several other avant-garde artists, exhibited work in the Salon d' Automne, an exhibition that was organized in response to the conservative policies of the official Paris Salons. View of several of Henri Matisse's paintings currently on display at The San Antonio Museum of Art. Photo By Stephanie Torres. It was at this exhibition where Claribel and Etta Cone, two wealthy, educated, and independent sisters from Baltimore first encountered Matisse's work. They bought their first Matisse painting this same year and would go on to collect over 500 works of art by Matisse over the next 40 years. 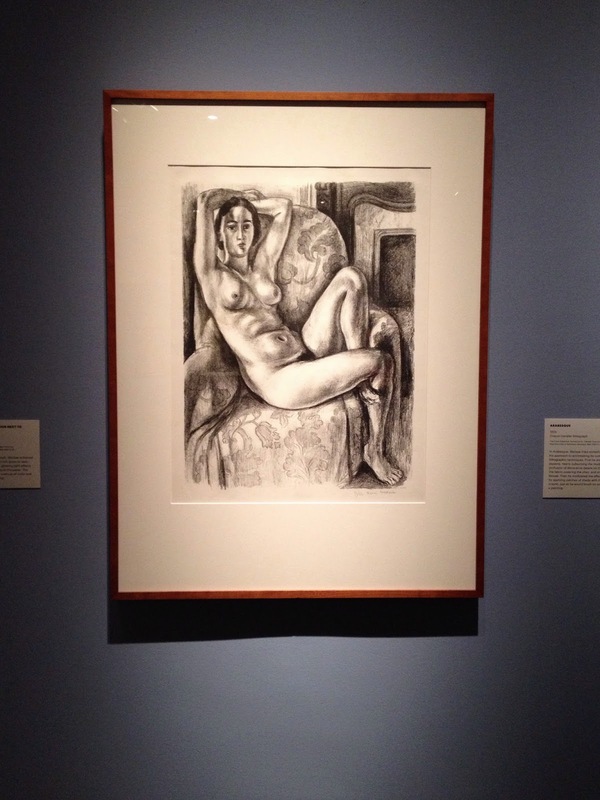 View of Henri Matisse's Arabesque (1924) currently on display at The San Antonio Museum of Art. Photo By Stephanie Torres. The Cone Collection is remarkable, not only for how prolific it is, but also for personal it feels. The Cone sisters loved art and were collecting paintings, drawings, and sculptures that they wanted to display in their home and surround themselves with. This is the art they lived with and interacted with on a daily basis: having meals, entertaining, and relaxing amongst it. 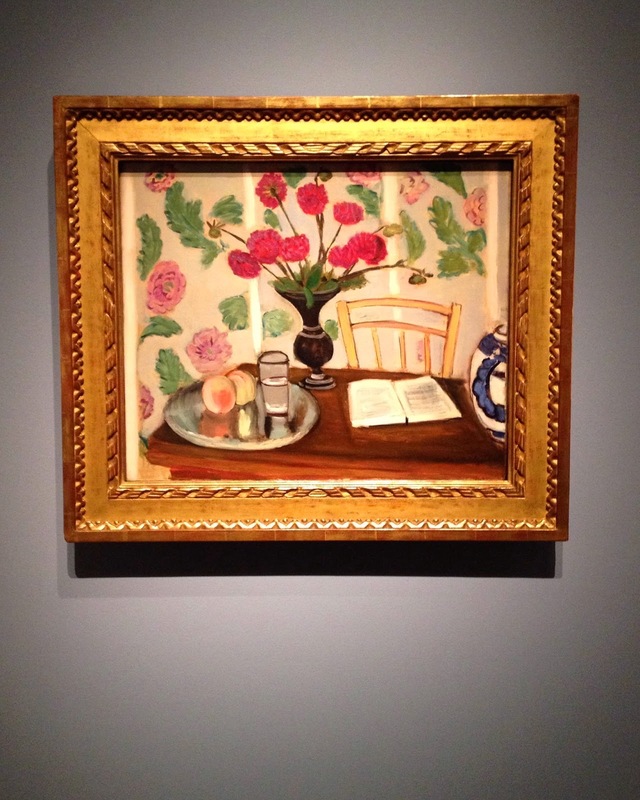 View of Henri Matisse's Still Life, Bouquet of Dahlias and White Book (1923) currently on display at The San Antonio Museum of Art. Photo By Stephanie Torres. Even from just this small sampling of their collection, you feel like you're getting to know them as well. It is especially interesting that these two conservatively dressed, Victorian ladies were inspired to collect such colorful, innovative, and shocking work. They might not have been able to express this sensibility in their own appearances, but it's apparent they were drawn to something in the exotic textures and patterns, intensive colors, and the joy of life expressed in Matisse's stunning canvases. View of Henri Matisse's Girl Reading, Vase of Flowers (1922) currently on display at The San Antonio Museum of Art. Photo By Stephanie Torres. The Cone sisters collected art because they had time, money, and a passion for it. They filled each of their homes from floor-to-ceiling with it, and even rented an additional apartment when both of their spaces were filled to the brim. In their lifetimes, these two women amassed a collection of 3,000 works of art from some of the most important avant-garde artists of the twentieth century, including not only Matisse, but also Picasso, Gauguin, van Gogh, among others. Most of the artists were not famous when the Cone sisters began collecting them, so it is evident that their love of art went beyond the aesthetic, and they were very much attuned to the importance of these Modern art movements. 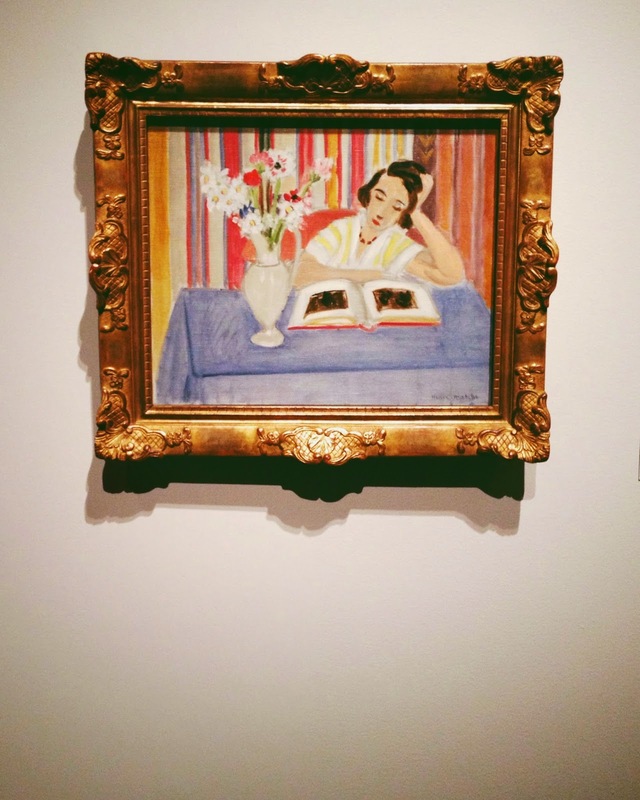 Matisse: Life in Color is on view at the San Antonio Museum of Art until September 7th.